In the past few months, I’ve had three pastors (in three very different contexts in three different states) seek me out to make sure they hadn’t discouraged me or sinned against me on a particular issue. Two outright apologized to me, without any hints or prodding on my part. I didn’t have to put out the vibe that I was disappointed with them or that I was waiting on an apology. The other was concerned that I might have taken something they said personally and sought me out to clarify themselves. In each encounter, what clearly was missing was defensiveness and self justification. There was authentic confession, genuine concern for me, and no circling of the wagons. In fact, instead of circling the wagons in self protection, I noticed the freedom each seemed to have to be humble. Humility was the norm. “What?! We don’t need wagons! No wagons allowed! We are FREE to confess sin and make things right. We have no need for self-protection.” I am starting to cry as I type this because it is SO different that my experiences with Christian leaders growing up and even well into my thirties. I remember pockets of humility back then, but it was mostly from those UNDER authority, rarely from those IN authority. I can’t put into words how much it meant to me as each humble Christian leader sought to repair something with me out of genuine concern. I have MARVELED over it. It seems rare to me when it should be so very normal. The gospel makes confession NORMAL. It makes it SAFE. And it makes it normal and safe for leaders, not just those under their authority. The gospel makes confession normal and safe for me with my children. I can say “I am sorry” as a parent, as a teacher, and as an author. It doesn’t threaten me to own up to my mistakes and to seek to repair what I’ve done wrong. My standing with God doesn’t rest on my performance, and I don’t have to fake perfection with my kids. I don’t have to fear that my authority with them will be forever lost if I admit I was wrong. The truth is that I will most effectively undermine my gospel ministry to them if I instead circle my wagons in defensiveness and self-protection when my faults come to light. I look forward to the day when a Christian leader apologizing to me doesn’t seem so out of place, to the day when it seems normal. As the gospel settles deeper in our psyche, repairing with others will be the natural outworking. It will be the standard. We rebuild the fabric of our relationships when we humbly say we are sorry, and I love rubbing shoulders with leaders whose view of the gospel makes such confession the norm, not a rare exception forced under duress. 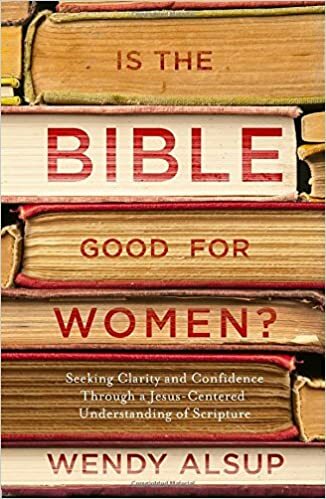 If a person believes that “no woman (or man) of virtue” would ever say or do certain things, then if they confess a sin, self-loathing will result. I have a child that will cry “I hate myself, I hate myself” when corrected. I'm trying to teach him (and myself) that the very reason Jesus came was for times like this is his life. He loves us through it all, and our works are not what approves us to God! Thank goodness cause I'd be in trouble!! My pastor apologized to our church a few weeks ago for something that I felt wasn't necessarily worth apologizing for. Our elders did the same. It was an amazing time of genuine humility and humbleness. I have never been more proud of my church. And to anonymous–I relate to your child. I still have trouble making mistakes, even though they're mistakes. Going to BJU really amplified that characteristic in me, as did an emotionally abusive dad. In my late 20s I started cutting myself as a way to deal with emotional pain and also as a way to punish myself. Once, after I got a speeding ticket, I broke a CD and scraped my leg til it bled. I know this all sounds outrageous, but it's how my mind “worked” at that time. God is so good and gracious, and His grace enables me to not struggle with self-injury anymore. All that to say, you sound like an amazing parent. That's great analysis, Michal and Jen. I had never thought about that relationship before, but it makes sense. GREAT post! I am so thankful for people like those pastors. I have such a hard time confessing to others-mainly because I struggle with believing the Gospel in my own life.